The Australian Pro Bono Centre publishes a wide range of resources, guides, reports, speeches and submissions. Reports on the Centre’s biennial survey of Australian law firms with 50 or more full-time equivalent lawyers. The Centre conducts the survey in order to develop a longitudinal picture of the pro bono legal work of large law firms. We’ve created this free resource especially for government lawyers, to equip you for pro bono legal work. Appendices include two examples of Pro Bono Policies – these are available for download as PDF documents here. The Manual’s companion publication contains practical information on what works well in collaborative pro bono projects, provides tips and case studies on how to attract pro bono partners and maintain effective partnerships. A second edition of What Works was released in October 2016. From time to time, the Centre comments publicly on issues of relevance to the pro bono sector. The National Pro Bono Target is a voluntary and aspirational target of at least 35 hours of pro bono legal services per lawyer per year that can be signed up to by law firms, incorporated legal practices, individual solicitors, individual barristers; and barristers’ chambers. 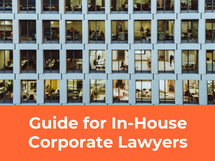 We’ve created this free resource especially for in-house corporate lawyers, to equip you for pro bono legal work. Appendices include precedents that can be modified to suit your needs – these are available for download as Word documents here. A ‘how to’ and ‘best practice’ guide on establishing and operating a pro bono program within a law firm. The third edition of the Manual was released in October 2016. Guide to best practice in the provision of pro bono legal services by large and mid-size law firms in Australia. The guide is supported by examples of best practice from individual firms and also quantitative data so as to provide benchmarks and to illustrate the Australian context. 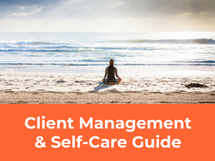 The Guide has had substantial input from the legal assistance sector, other law firms and experts in mental health. It is designed to be tailored by firms to meet training requirements for lawyers participating in pro bono work, and adapted for broader implementation across the legal assistance sector. The Centre’s monthly newsletter, which contains stories about recent developments in the pro bono and legal assistance sector, including the Centre’s reports and submissions. charities, not-for-profit organisations and social enterprises. Research and Policy Paper on the use of interpreting services in pro bono legal work and the extent to which pro bono is constrained by the cost of interpreters. Report on the pro bono performance of Signatories to the National Pro Bono Aspirational Target in the 2016/2017 financial year. More information on the Target, including copies of all Target Reports, can be found on our National Pro Bono Aspirational Target page. Final Survey Report on the state of pro bono in large law firms with more than fifty full-time equivalent lawyers. Firms were surveyed in relation to the 2016 financial year. This survey is conducted biennially. More information on the Survey, including copies of all Survey Reports, can be found on our National Law Firm Pro Bono Survey page. The Guide is designed to be tailored by firms to meet training requirements for lawyers participating in pro bono work, and adapted for broader implementation across the legal assistance sector. 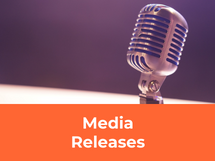 The result of a collaborative effort between Sparke Helmore Lawyers, Henry Davis York, Clayton Utz and McCabes Lawyers, the Guide has had substantial input from the legal assistance sector, other law firms and experts in mental health, and the Centre. The Guide can be viewed in PDF, or downloaded as a Word document and adapted to your organisation’s training requirements. See the accompanying videos here. Online version of the third edition of the Australian Pro Bono Manual, a ‘how to’ and ‘best practice’ guide on establishing and operating a pro bono program within a law firm. The companion publication Pro Bono Partnerships and Models: A Practical Guide to WHAT WORKS is also available. Both publications can be purchased from LexisNexis®. Online version of the second edition of Pro Bono Partnerships and Models: A Practical Guide to WHAT WORKS, a companion publication to the Australian Pro Bono Manual which contains practical information on what works well in collaborative pro bono projects, provides tips and case studies on how to attract pro bono partners and maintain effective partnerships. Report on the pro bono performance of Signatories to the National Pro Bono Aspirational Target in the 2015/2016 financial year. Single page abbreviated version and the six page full version available. Report on the pro bono performance of Signatories to the National Pro Bono Aspirational Target in the 2014/2015 financial year. Conference Paper presented at the National Rural Law and Justice Conference 2015 (updated version of paper The use of video conferencing technology to provide pro bono assistance to self-represented litigants in regional, rural and remote Australia, presented in 2014). Final Survey Report on the state of pro bono in large law firms with more than fifty full-time equivalent lawyers. Firms were surveyed in relation to the 2013/2014 financial year. This survey is conducted biennially. Report on the pro bono performance of Signatories to the National Pro Bono Aspirational Target in the 2013/2014 financial year. Interim Survey Report on the state of pro bono in large law firms with more than fifty full-time equivalent lawyers. This survey is conducted biennially. Followed by the Final Report (see above). Conference Paper presented at the Australasian Institute of Judicial Administration’s “Assisting Unrepresented Litigants – A Challenge for Courts and Tribunals” Conference. Report on the pro bono performance of Signatories to the National Pro Bono Aspirational Target in the 2012/2013 financial year. Research Report on the limited availability of formal pro bono legal services in family law and family violence matters in Australia. Discusses issues in relation to capacity, expertise and the level of need. Chapter by John Corker in Poverty, Justice and the Rule of Law: the Report of the Second Phase of the International Bar Association Presidential Taskforce on the Global Financial Crisis, edited by Peter D Maynard and Neil Gold. 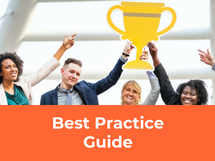 Best Practice Guide that provides practical information on what works well in collaborative pro bono projects and provides tips on how to attract pro bono partners and maintain effective partnerships. More information on ‘What Works’ can be found on our What Works page. Speech by John Corker as part of National Law Week at Banco Court, Supreme Court of Queensland, Brisbane on 13 May 2013. Article by Professor Michael Legg and John Corker published in The Australian [this version requires subscription] on 26 April 2013. Final Survey Report on the state of pro bono in large law firms with more than fifty full-time equivalent lawyers. Firms were surveyed in relation to the 2011/2012 financial year. This survey is conducted every two years. Interim Survey Report on the state of pro bono in large law firms with more than fifty full-time equivalent lawyers. Firms were surveyed in relation to the 2011/2012 financial year. This survey is conducted every two years. Followed by the Final Report in January 2013 (see above). Report on the pro bono performance of Signatories to the National Pro Bono Aspirational Target in the 2011/2012 financial year. Paper that explores the reasons for the slow uptake of pro bono by government lawyers and suggests actions that government agencies, departments and authorities, and individual lawyers within them, can take to play a greater part in the professional society of pro bono lawyers in Australia. Presented at the Public Sector In-House Counsel Conference 2012 in Canberra. Research Paper exploring the issues impacting on pro bono lawyers assisting parties participating in ADR processes, drawing on submissions received in response to the release of a discussion paper in October 2011 (see below). Speech by John Corker at “A New Chapter for Pro Bono In Victoria,” an event hosted by the Centre and PILCH (VIC) at DLA Piper’s Melbourne office on 31 May 2012. Report on the review of Parramatta City Council’s Social Enterprise Pro Bono Legal Panel. The review was conducted by the Centre after the first 12 months of the panel’s operation, and identifies issues relevant to the delivery of pro bono legal services to social enterprises, particularly in the start-up phase. The first in an occasional series, this paper aims to promote an understanding of the concept of ‘social justice’ by examining it both in a historical and current policy context, and identifying the key themes which are emphasised by different views on what social justice means. Discussion paper exploring the role that pro bono lawyers might play to assist in the ADR process, as presented by Leanne Ho at the National Association of Community Legal Centres Conference in Hobart, October 2011. A Research Paper on this topic was produced in June 2012 (see above). Report on the pro bono performance of Signatories to the National Pro Bono Aspirational Target in the 2010/2011 financial year. Guide to finding volunteer opportunities and employment in the social justice sector. The accompanying website, which includes listings of current employment and volunteering opportunities, is located at www.sjopps.net.au. More information on Social Justice Opportunities can be found on our Social Justice Opportunities page. What characterises a leading pro bono firm in Australia in 2011? List of defining characteristics of Australian firms with leading pro bono practices, produced for an article in National Pro Bono News (August 2011). Resource to assist the Australian legal profession in each State and Territory to prepare a disaster response plan in readiness for any disasters occurring in their jurisdiction, consisting of a research paper and a guide to preparation of a disaster plan. Final Survey Report on the state of pro bono in large law firms with more than fifty full-time equivalent lawyers. Firms were surveyed in relation to the 2009/2010 financial year. This survey is conducted every two years. Report by the Centre’s Director on the state of pro bono in Europe in general and the United Kingdom in particular. A set of 12 stories demonstrating how pro bono legal services have helped alleviate poverty, to celebrate the launch of Anti-Poverty Week 2010. Interim Survey Report on the state of pro bono in large law firms with more than fifty full-time equivalent lawyers. Firms were surveyed in relation to the 2009/2010 financial year. This survey is conducted every two years. Followed by the Final Report in December 2010 (see above). Report on the pro bono performance of Signatories to the National Pro Bono Aspirational Target in the 2009/2010 financial year. Paper on the increase in international pro bono legal assistance provided by law firms around the world, as presented by John Corker at the Meeting of Senior Officials of Commonwealth Law Ministries in London, October 2010. Paper on the business case for law firm involvement in pro bono, by John Corker. Draws from local cost/benefit analyses and the long US experience. Introductory guide to pro bono legal services in Australia, including information on who provides these services and how the are delivered, prepared for the use of students in Practical Legal Training. Research report that investigates if, and how, retired and career-break lawyers could be encouraged to become involved in pro bono legal work. Guide prepared for Aboriginal and Torres Straits Islander Legal Services (ATSILS) on pro bono legal services available in Australia. Includes directory. Report on the pro bono performance of Signatories to the National Pro Bono Aspirational Target in the 2008/2009 financial year. Guide to the pro bono programs of 30 of Australia’s largest law firms, for the use of students and other potential applicants when considering a career. Published in conjunction with NSW Young Lawyers. Notes for speech by John Corker at the launch of Pro Bono PI Insurance Scheme. Article for Legal Ethics on the topic of pro bono work in the Australian legal profession, drawing from the Centre’s Report on the Pro Bono Legal Work of 25 Large Australian Law Firms (September 2008 – see below). Discussion Paper prepared for the purpose of providing background for a series of roundtable discussion forums held in Brisbane, Sydney and Melbourne in February/March 2009 as part of a research project conducted by the Centre. Speech given by John Corker to a Community Engagement Forum held at Bond University in Nov 2008. This paper is also published in “Community Engagement in Contemporary Legal Education: pro bono, clinical legal education and service-learning,” edited by Patrick Keyzer, Amy Kenworthy and Gail Wilson, Halstead Press 2009. Survey Report on the pro bono legal work undertaken by barristers in Australia. 355 barristers were surveyed between December 2007 and June 2008 in relation to the work they had undertaken in the previous 12 months. Report on the pro bono performance of Signatories to the National Pro Bono Aspirational Target in the 2007/2008 financial year. Survey Report on the state of pro bono in 25 large Australian law firms. Firms were surveyed in May 2008 in relation to the work undertaken in the previous 12 months. Surveys of Australian firms with more than 50 lawyers have since been undertaken every 2 years. Guide to the pro bono programs of 22 of New South Wales’ largest law firms, for the use of students and other potential applicants when considering a career. Published in conjunction with NSW Young Lawyers. Account of the state of the legal assistance sector in the UK during November 2007 as described by John Corker, Director of the National Pro Bono Resource Centre (with photos). Speech by John Corker at the launch of Pro Bono Practices – A Guide to the Pro Bono Practices of NSW’S Largest Law Firms. Survey Report on the pro bono legal work undertaken by individual solicitors in Australia. 887 solicitors were surveyed in 2006 and 2007 in relation to the work they had undertaken in the previous 12 months. Report that provides a snapshot of the Australian pro bono landscape as at the beginning of 2007. It is also intended to highlight areas of interest and concern and to stimulate further discussion about how pro bono can be resourced, directed and supported to provide better access to justice for disadvantaged Australians. Background Paper prepared for a roundtable meeting to discuss the legal needs of older persons convened by the Centre in Sydney on 2 May 2007. Pro Bono Schemes: Is Tasmania Ready for One? Address at the opening of the Tasmanian Legal Year by John Corker. Brochure prepared for the National Access to Justice and Pro Bono Conference 2006. It foreshadows a voluntary aspirational pro bono target to start on 1 January 2007. Paper identifies barriers to pro bono assisting with litigation, covers such issues as court pro bono referral schemes and litigants in person and suggests ways to move forward with the issues. John Corker, the Centre’s director, presented this paper to the 24th Australian Institute of Judicial Administration Conference 2006. Preliminary Report of survey data from the National Survey prepared for the National Access to Justice and Pro Bono Conference 2006. Publication that details the establishment and operation of 10 professional association and law firm pro bono referral schemes in Australia. Information Paper that provides information and ideas to encourage the creation, uptake and expansion of pro bono work across regional, rural and remote (RRR) Australia. In particular, it focuses on providing pro bono legal assistance to disadvantaged communities by working in partnerships with community legal organisations in RRR areas. Notes, prepared at the 2006 US Pro Bono Institute (PBI) Annual Seminar held in Washington DC from 2-4 March 2006, which outlines tips from a law firm, a community organisation and the director of the PBI, Esther Lardent on how to pitch a new pro bono project to a law firm or in-house legal team. Whilst the US pro bono environment is more developed than it is Australia with a range of ‘signature projects’ that exist there, these basic tips are still highly relevant to the development of new pro bono projects in Australia. How does pro bono fit with clinical legal education in Australia? Paper on the Pro Bono Students Australia (PBSA) program, which was designed to place law students to do law-related work in a broad range of community organisations that are involved in the delivery of services to the disadvantaged in our community. The Centre established PBSA in conjunction with the University of Western Sydney based upon the successful Canadian model. This paper, presented at 8th Australian Clinical Legal Education Conference, discusses how Clinical Legal Education and pro bono can be complementary concepts within law schools. ‘How-to’ Handbook for law firms that provides detailed practical advice to law firms and legal practitioners on topics ranging from promoting a pro bono culture within a firm to budgeting, accounting, taxation and record keeping, through a mixture of commentary, advice, precedents and background information. The Manual aims to assist law firms wishing to establish, develop or expand their pro bono practices. It will also be of value to individuals who are seeking resources and ideas about pro bono. The Australian Pro Bono Manual is subject to copyright. With the exception of section 4.7 “Advising and acting for Indigenous Clients” for which specific permission is required from the copyright holder, reproduction in whole or in part is encouraged. Speech by John Corker at the launch of the best practice pro bono sessions at the Law Society of New South Wales. Resource for governments and government lawyers that addresses barriers to government lawyer pro bono activities and describes initiatives in USA, Canada and England and Wales. Paper presented by John Corker at the National Museum of Canberra regarding Australian lawyers, social change and access to justice. Paper for law schools and law students that addresses the issues to be faced in establishing pro bono programs at law schools. This resource details all clinical legal education and pro bono programs at each of the 28 Australian law schools as at August 2004. Article (published in the Victorian Law Institute Journal, November 2003) on ways in which pro bono law reform and community legal education schemes can benefit disadvantaged client groups. Article (published in the NSW Law Society Journal, July 2003) as part of a series addressing the issue of ‘unbundling’ legal services. Titled “Pro bono opportunity in discrete task assistance”, the article from NPBRC advocates discrete task assistance as an essential tool for pro bono and publicly funded lawyers to extend access to justice. The growth of pro bono in the last decade has included the development of ‘multi-tiered relationships’ between law firms and pro bono partners in the community, particularly community legal centres. This Paper explains what multi-tiered relationships might involve and demonstrates their operation through a variety of case studies. Consultation Paper proposing that Governments in Australia adopt a Protocol aimed at minimising reluctance of law firms and private lawyers to provide pro bono legal services in matters against government agencies due to the perception that this will prejudice them in securing or retaining government legal work. Includes draft protocol for comment. Article in the Alternative Law Journal describing some aspects of current pro bono practice in Australia, the role of the private and public sectors, the benefit of forging links between pro bono service providers, publicly funded legal service providers and community organisations and the objectives of the National Pro Bono Resource Centre. The Centre’s publications, except for the Australian Pro Bono Manual, are produced under a Creative Commons License. 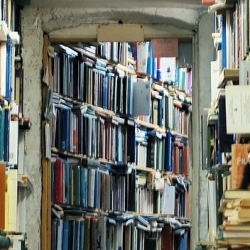 This means you can copy, transmit and adapt the Centre’s publications providing that you give proper credit to the Centre and any other relevant author within the reproduced material. Material may not be reproduced for sale purposes without the prior written agreement of the Centre or other relevant author/s.